Are you making a profit on every portion that you serve? Can you be sure that, at the very least, you’re breaking even? Paying close attention to your food costs and portion control are two of the ways that will help you to price your menu correctly. You will make a profit and you won’t price yourself out of the local market. Are You Overfeeding Your Customers? Of course, much of the waste that is generated is unavoidable. 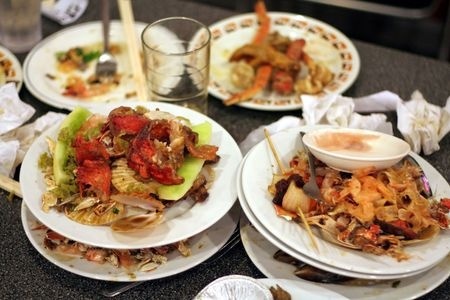 However, what is shocking is that almost one-third of all wasted food is returned to the kitchen on customer’s plates. The SRA calculated that if an average restaurant could reduce the amount of food it throws away by just 20%, it would save more than 4 tons of food waste per annum and reduce the average restaurant shopping bill by more that £2,000 every year. Reduce the amount of food returned to your kitchen by deciding exactly how much food constitutes the ideal portion size and be aware exactly how much food you are serving your customer every single time. Of course, this is obvious but it was easier said than done. Until now. MenuAnalyser can help you by calculating your ideal portion weight for every dish, which will enable your staff to quickly guage what the ideal portion should look like on the plate. One of the main reasons that chain restaurants are so successful is that they have mastered the art of portion control. The chefs in those restaurants know exactly how much of each ingredient to put in every dish. 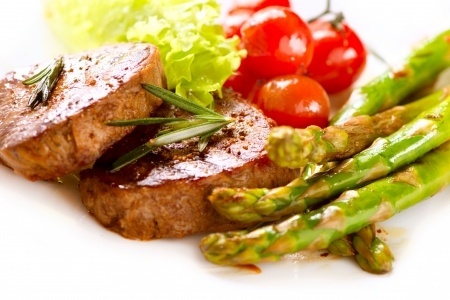 For example, the rump steak may have a portion control of 200g per serving. Therefore, every rump steak that leaves the kitchen will weigh 200g. No more, no less.